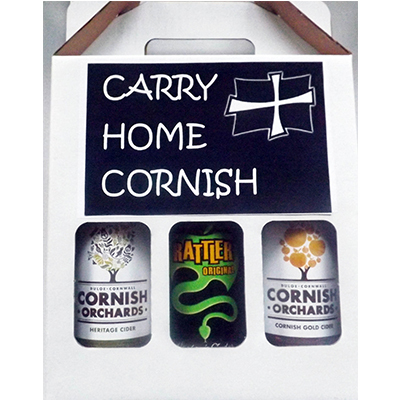 Carry Home Cornish is a triple pack of Cornish Ciders taken from the collections of Healey’s Cyder Farm at Penhallow, Cornish Orchards at Duloe and Mounts Bay Cider Company at Hayle. These fruity ciders are juicy and delicious and give a real flavour of Cornwall. A super gift for any cider lover, presented in a smart black and white gift box decorated with our exclusive St. Piran flag logo.